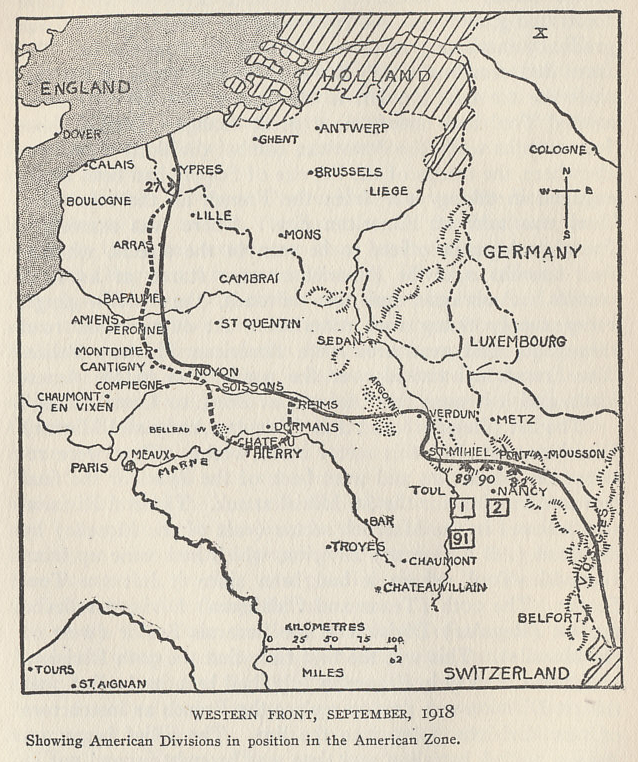 Map of the Western Front in early September 1918 showing the American divisions in position in the American Sector. 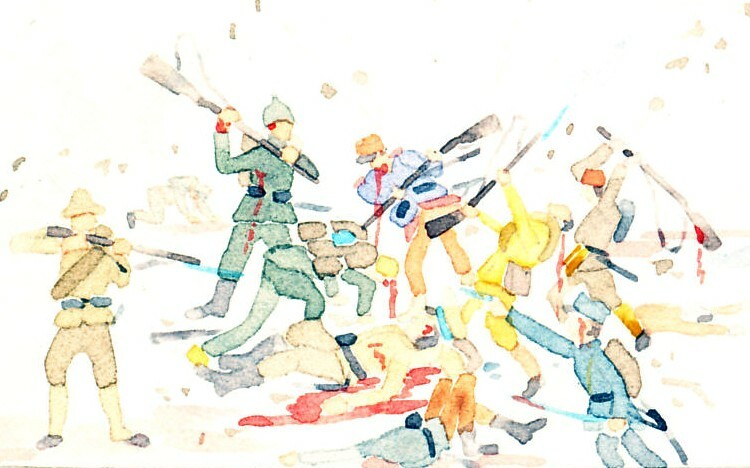 The Americans reduced the St. Mihiel sector in an offensive beginning on September 12. 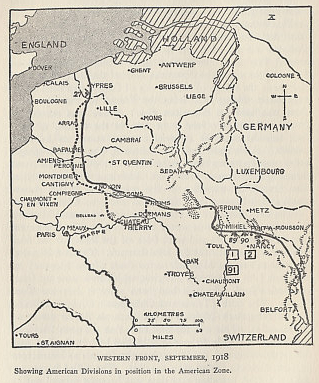 The dotted line shows the limit of the German advance from March to July prior to the Allied offensives that had retaken all their gains. From The History of The A.E.F. by Shipley Thomas. Showing American Divisions in position in the American Zone.